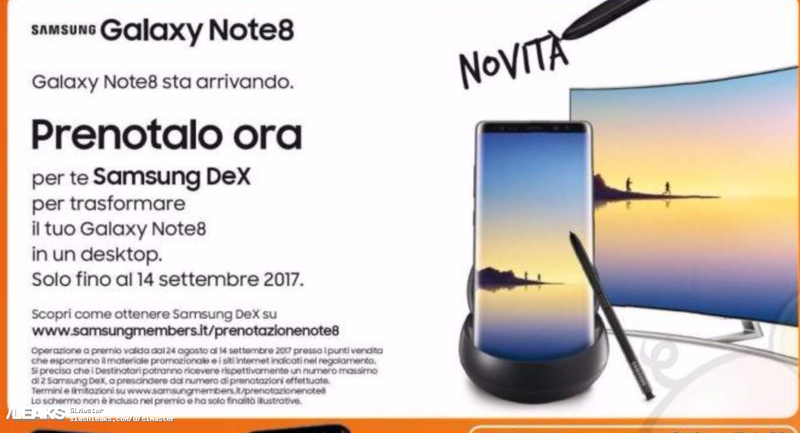 The leaked poster also reveals that all pre-order customers will receive a DeX dock as a gift for putting money down for the handset. We’ve heard this before as well. Pre-order customers in the United States will get the option to choose between a 256GB microSD card + convertible wireless charger and Samsung’s Gear 360 camera.